Hard disk can play a good role in windows 7 performance. 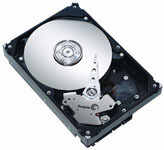 Generally we purchase SATA hard disk. But if your windows 7 is installed on on a solid state hard drive (SSD) instead of a normal SATA or IDE hard drive, you will find dramatically increase in computer’s performance. So, if you can manage to get SSD hard disk for your Windows 7, it will surely help you to get better performance.